Booties, like the Rieker Peggy 68, are now a year-round closet staple. 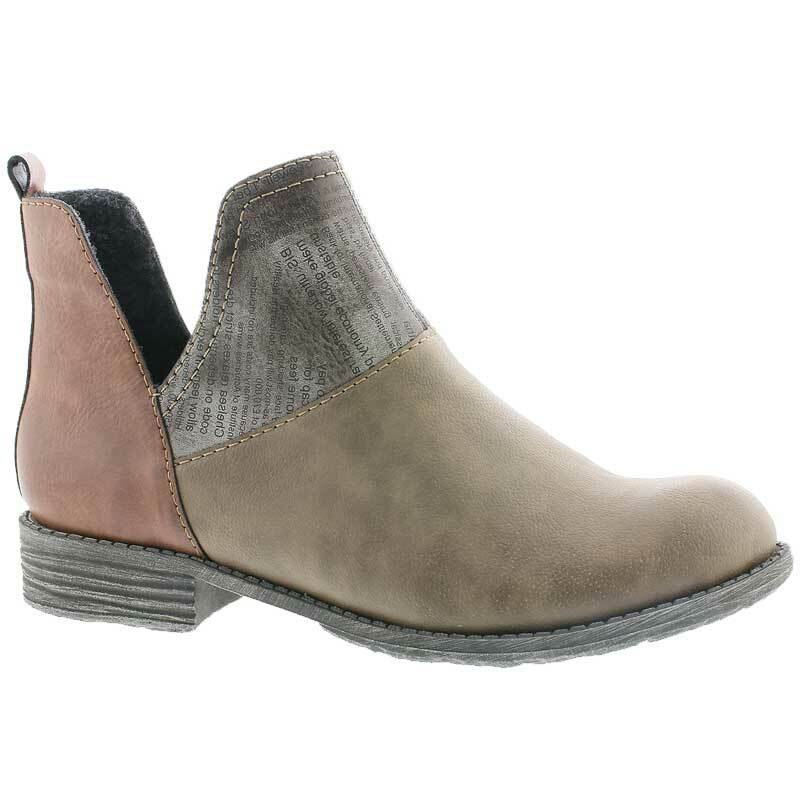 The synthetic upper has contrasting colors and a v-cut topline for a unique and stylish look. The back pull tab makes for easy on and off and a lightly padded insole will give you added comfort for all day wear.